Twelve flags were placed on the circumference of a circle at even intervals. The shadow line from the flag in the center rotates with the movement of the Sun. 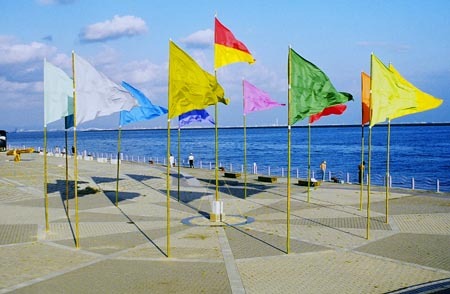 So the thirteen flags total are like a sundial of the wind.